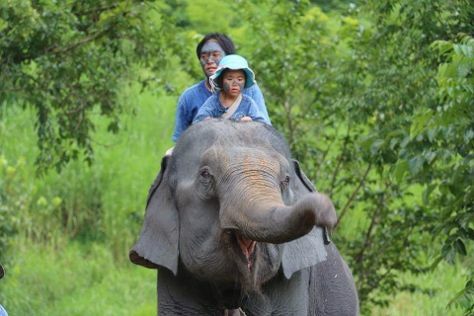 Take a break from the city and head to Doi Inthanon and Thai Elephant Home. You'll discover tucked-away gems like Zipline and Maesa Elephant Camp. Explore Chiang Mai's surroundings by going to The Royal Agricultural Station Inthanon (in Chom Thong), Mae Taeng (Si Lanna National Park, Huai Nam Dang National Park, & more), Wat Phra That Doi Suthep (in Doi Suthep) and Chae Son National Park (in Lampang). And it doesn't end there: delve into the distant past at Wat Chedi Luang Worawihan, relax and rejuvenate at some of the top local wellness centers, contemplate in the serene atmosphere at Wat Phra Singh, and look for all kinds of wild species at Elephant Jungle Sanctuary. To find traveler tips, where to stay, more things to do, and tourist information, read Chiang Mai trip generator. If you are flying in from Canada, the closest major airport is Chiang Mai International Airport. In December in Chiang Mai, expect temperatures between 34°C during the day and 20°C at night. Finish your sightseeing early on the 2nd (Mon) to allow enough time to drive back home.